This study shows that specific microfossil populations of the 1.88 Ga Gunflint Iron Formation contain Fe-silicate and Fe-carbonate nanocrystal concentrations in cell interiors. 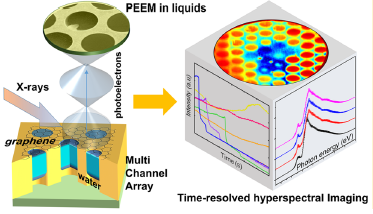 A novel graphene-capped multichannel array sample platform was developed to extend the capabilities of photoelectron spectromicroscopy to routine liquid and atmospheric pressure studies with standard PEEM setups. 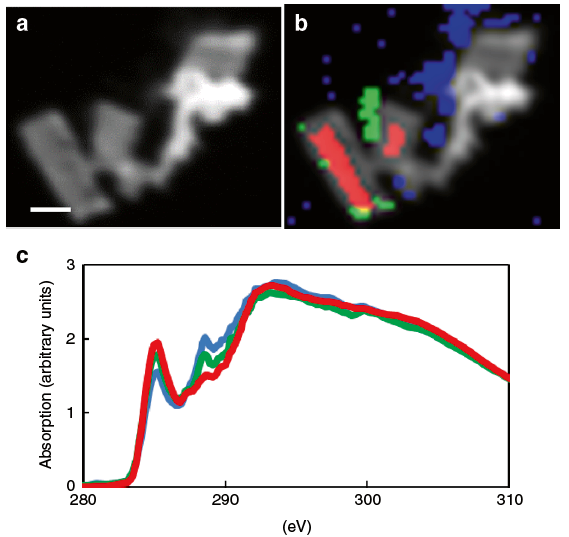 The spectromicroscopy (SM) facility at CLS has one beam line (10ID-1), enabling users to perform studies in the fields of polymer science, environmental science, and biological applications to novel material design and magnetic imaging. Arachchige, Pavithra S. Pitumpe; Hettiarachchi, Ganga M.; Rice, Charles W.; Dynes, James J.; Maurmann, Leila et al. (2018). Sub-micron level investigation reveals the inaccessibility of stabiliz .... Scientific Reports 8(1) . 10.1038/s41598-018-34981-9. Gibb, Nick P.; Dynes, James J.; Chang, Wonjae (2018). A recyclable adsorbent for salinized groundwater: Dual-adsorbent desal .... Chemosphere 209, 721-729. 10.1016/j.chemosphere.2018.06.130. Lutfalla, Suzanne; Barré, Pierre; Bernard, Sylvain; Le Guillou, Corentin; Alléon, Julien et al. (2018). Multidecadal persistence of organic matter in soils: investigations at .... Biogeosciences Discussions , 1-20. 10.5194/bg-2018-343.